There is a lot of talk about the new dimensions of the Blue Jays offense. I, for one, don't really buy it. The 2010 Jays clubbed baseballs like they were baby seals, outpacing the rest of the league in ISO by nearly 10%. Going through the offensive projections over the past few weeks then reading the Tao's post yesterday (same guy!) I came to the realization this year's edition might be different. Consider the projections I posted for Yunel Escobar and Rajai Davis - two players who figure to get into the lineup every day (top or bottom, does it really matter?) Both Davis & Escobar figure to post isolated power numbers right around the .100 mark. When league average is around .160, these two are staring Punch and/or Judy status right in the face. The question I pose to you is this: which, if either, of these players will crack triple digits with the ISO? Both? Neither? The falling offensive stone that is Yescobar! or the bag-swiping urban-Ichiro Rajai Davis? Based on his track record, Escobar seems like the safe bet. The man hit 14 home runs in 2009, though his ISO still lagged behind league average. A full season in the right handed cuddle-blanket that is the Rogers Centre should help, though his ISO as a Blue Jay was a paltry .081! His obsession with bunting runners over certainly won't help his cause. Rajai Davis doesn't bunt quite as much as Escobar but he doesn't hit for power at all. Davis is yet to post a single-season slugging percentage above league average. He has but 12 career home runs! The one thing that might save Davis and put him over the triple digit threshold? His new ballpark. Boon at power hitters as it might be, the Rogers Centre — by virtue of its very high fences and slow turf — is a triples haven. Though the rate at which Jays hitters leg out three baggers slowed in the past two years, it is still an above average place to see the "most exciting play in baseball." So what do you think? Will some residual Citocity rub off on these two Marys or will one drink from the chalice of manliness? Cast your vote below! Who will post an ISO > .100 in 2011? 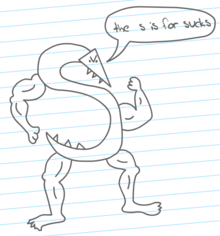 Nice nod to the Homestarrunner, indeed. Funny, I voted for Rajai, because I have faith that he can put up and ISO of .120, though no more than .160. Yunel? He looks like a guy who could hit 40 homers, but I assume that he'll hit 8 and try to drop down that many drag bunts per week. And you may ask yourself: What happened to my monster-bomb hitting offense? Escobar will hit 15+. Just watch. ISO doesn't take into consideration behind the back glove flip passes so I choose to ignore it.